What is the Reverse of a Coin? Coin collectors and numismatists use a variety of terms to describe the various aspects of different coins. The reverse of a coin is the back, bottom, or "tails" side of a coin. History of the Coin Term "Reverse"
When mint laborers first made coins about 300 BC, the worker had two pieces of hardened metal with the coin's design engraved on them. These are known as a coin dies. They mounted one die on a solid surface such as a large rock, and he held the other coin die in his hand. The worker would then take a piece of metal and place it on the die mounted on the rock. He would then place the other die on top of it and strike it with a large heavy hammer. The die mounted on the solid surface was known as the "anvil die." The die held in his hand was known as the "hammer die." This methodology for making coins continued for hundreds of years until the appearance of the coining press. Leonardo da Vinci designed a mechanical device used for minting coinage. It punched a blank out of a strip of metal and used the coin dies to impart the image on the metal blank simultaneously. In 1550 Max Schwab of Augsburg built a workable screw coin press which could produce blanks and strike the coin. The new screw press design had the anvil die mounted in the lower chamber within the coining press instead of it being mounted on a rock. The hammer die was mounted in the upper part of the press and was moved by a mechanical lever to strike the planchet with great pressure. Traditionally the image struck by the anvil die is known as the reverse. The image that was imparted by the hammer die is known as the obverse. Over time certain consistencies developed on coins. Coin designers placed the portrait of the reigning monarch on the hammer die, and hence the obverse is usually the side of the coin that contains the portrait. However, there are certain exceptions. For example, Great Britain places the reigning monarch on the reverse side of the coin. 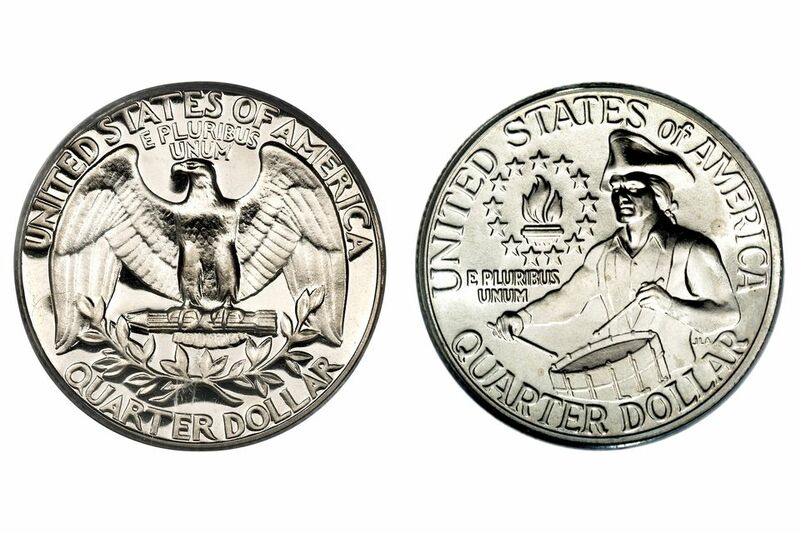 For example, coin designers usually place the date that the coin was made on the obverse of the coin. Additionally, if there is a portrait of a monarch or some other significant person, that is also usually placed on the obverse. Therefore, the reverse side is usually the one that was produced by the anvil die. The bottom line is that there isn't a scientific rule to differentiate the obverse from the reverse. It has become a tradition that numismatists will agree upon which side of the coin is the obverse and which side of the coin is the reverse based upon commonly accepted practices. Given the fact that there is not a consistent widely agreed upon methodology for determining which side of the coin is the reverse, time and patience have the final say. In other words, over time researchers and numismatists will start referring to one side of the coin as the obverse and the other side as the reverse. Although some coin collectors and hobbyists may disagree with their decision, usually these are the people that publish the books that widely influence the use of terminology throughout the coin collecting hobby. However, coin collectors do have the final say as to how they arrange the coins in their collection. Most collectors prefer to put the obverse of a coin on the front of their coin folder or album. Therefore, if a trend starts among coin collectors as to which side of the coin is the obverse and which side of a particular coin is the reverse, that may influence the greater coin collecting community use of the term. Sometimes it is hard to tell which side of the coin is the obverse when there is no portrait. That decision is left up to the greater coin collecting community to decide.